At Assos in Troas, there is found a stone of a laminated texture, called "sarcophagus". It is a well-known fact, that dead bodies, when buried in this stone, are consumed in the course of forty days, with the sole exception of the teeth. According to Mucianus, too, mirrors, body-scrapers, garments, and shoes, that have been buried with the dead, become transformed into stone. And we went before to ship, and sailed unto Assos, there intending to take in Paul: for so had he appointed, minding himself to go afoot. And when he met with us at Assos, we took him in, and came to Mitylene. I have conceived a sort of unwarrantable unfriendliness toward Pliny and St. Paul, because it seems as if I can never ferret out a place that I can have to myself. It always and eternally transpires that St. Paul has been to that place, and Pliny has "mentioned" it. 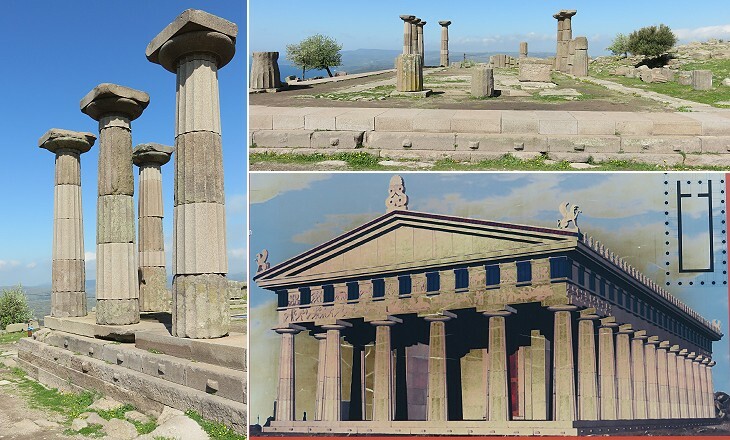 Assos was founded in the Xth century BC by settlers coming from the island of Lesbos. In the VIth century BC the inhabitants of the town built a large temple. It was designed in Doric style and it was dedicated to Athena, similar to the Parthenon of Athens. Apart from its religious importance, the temple provided seamen with a landmark which helped them locating the small harbour of the town at the foot of the high rock (236m/774ft) upon which the temple stood. Marie-Gabriel-Florent-Auguste de Choiseul-Gouffier was the French Ambassador to the Ottoman Empire in 1784-92 and in 1785 he visited Assos. His description of the acropolis was not accurate, but that of the site was very evocative and it attracted the attention of other western travellers. They gave detailed accounts of the reliefs which decorated the building: On every side lay columns, triglyphs, and friezes, of beautiful sculpture, every object speaking of the grandeur of this ancient city. (..) (The friezes) represented bulls fighting, sphinxes crouching, and a variety of animals, well executed, although upon a coarse material. 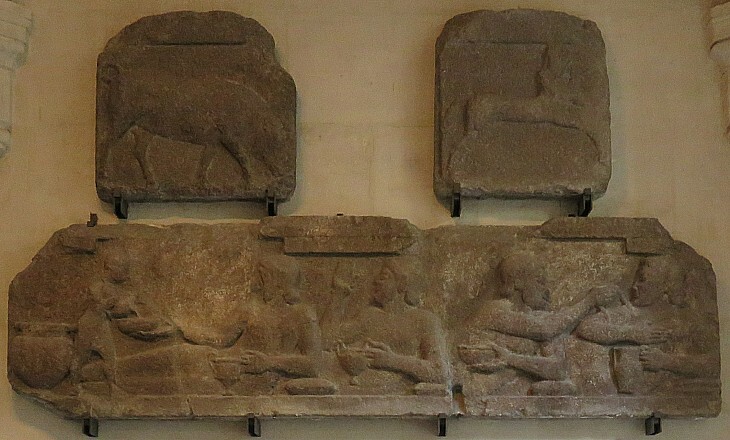 Six months after Fellows' visit to Assos, French scholar Désiré Raoul-Rochette received permission from Sultan Mahmud II to ship the reliefs to Paris as a gift to King Louis-Philippe of France. The image used as background for this page shows another detail of the reliefs. 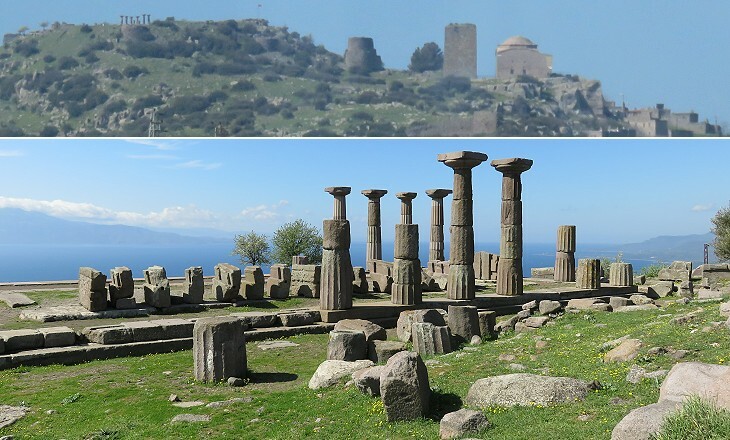 In 347 BC Greek philosopher Aristotle was invited to Assos by Hermias, the ruler of the town. He spent four years there and he married a daughter or a niece of Hermias. He studied the sea-life between Assos and Lesbos and the results of these researches were eventually included in three books he wrote about zoology. In 342, after Aristotle had left Assos to become the tutor of Alexander the Great, the Persians restored their rule over the town and Hermias was put to death. 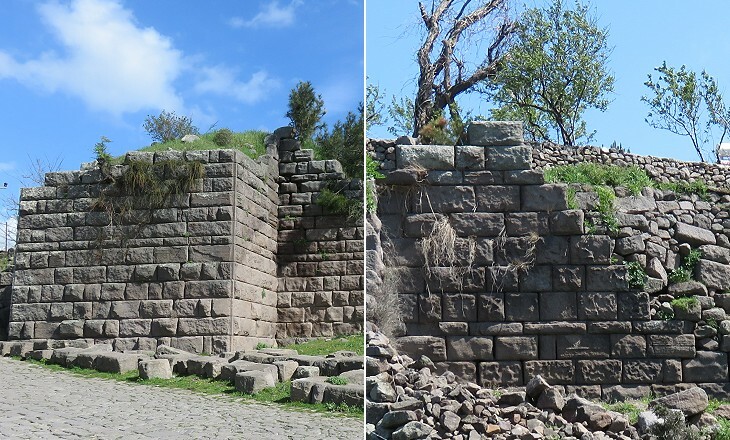 Eventually Assos was acquired by the Kings of Pergamum. In 133 BC Attalus III, the last king, bequeathed his possessions to the Romans. 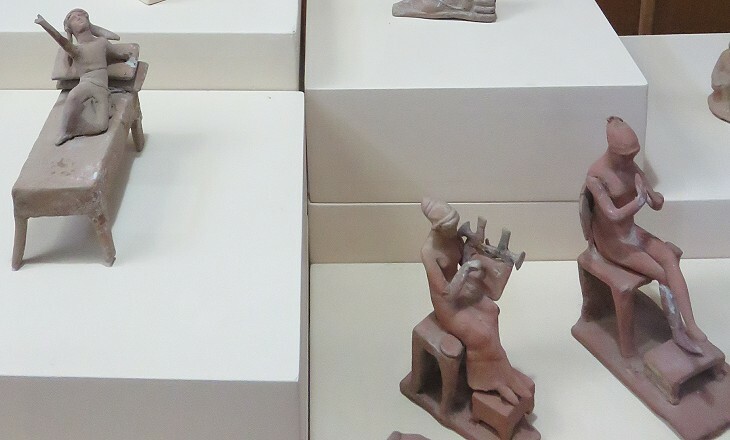 The findings of excavations in the Lower Town in 1881-83 indicated that Assos flourished during the Roman rule. 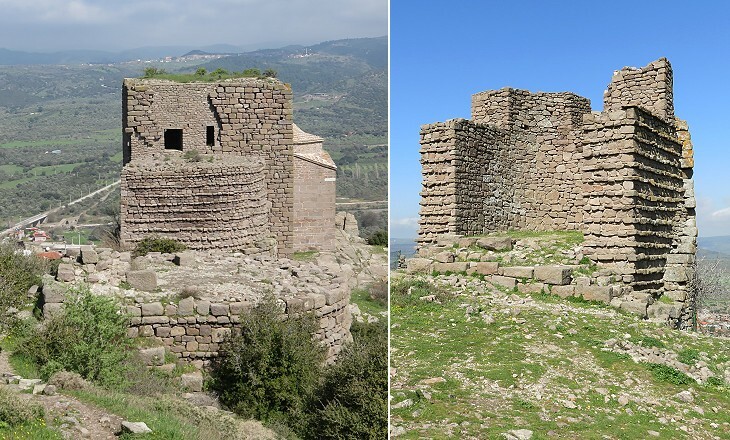 The imposing Byzantine towers on the acropolis are a sign of the decline of the town which was subject to raids by the Arabs or by local pirates. Some of the towers were entirely built with material taken from the Temple to Athena. 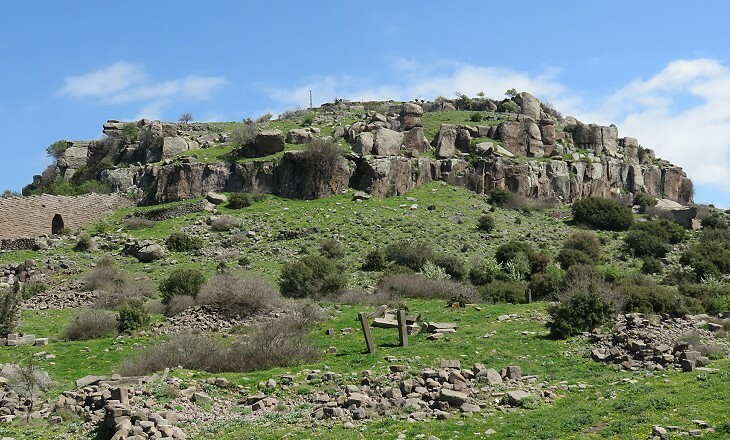 The Byzantines held Assos until 1306, when it was conquered by the Karasids, a minor Turkish principality, which was taken over by the Ottomans in 1360. A large mosque was built shortly after the beginning of the Ottoman rule over the region. 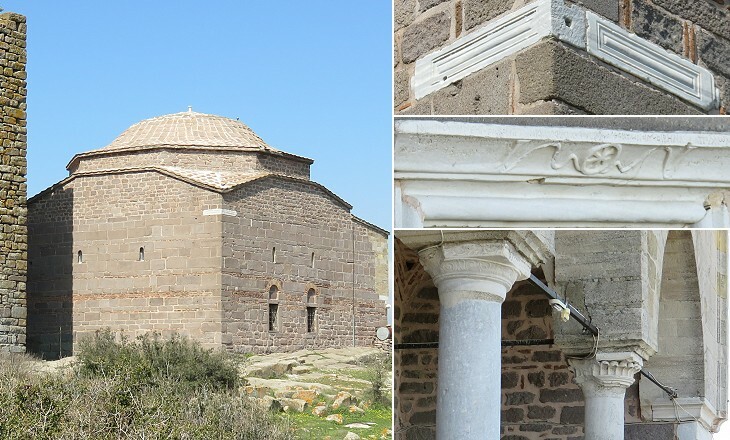 It is an early example of Ottoman mosques based on Byzantine patterns. Its size, which made it visible, from a great distance had perhaps a symbolic meaning. Murad I greatly expanded Ottoman territories in the Balkans and in 1383 he established the title of "sultan" (a Muslim ruler second only to the Caliph) for himself and his successors. He can be regarded as the founder of the Ottoman Empire. 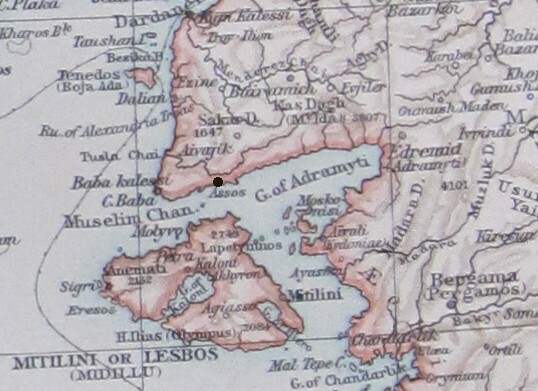 When Assos fell to the Karasids, the opposite island of Lesbos was still a Byzantine possession, although practically ruled by the Gattilusio, a Genoese family. The situation was unchanged in 1453 when Sultan Mehmet II conquered Constantinople and put an end to the Byzantine Empire. He was convinced (and not without some merit) that he should have been regarded as the new emperor. In 1458 Domenico Gattilusio, Lord of Lesbos, was killed by his brother Niccolò who claimed the throne for himself. 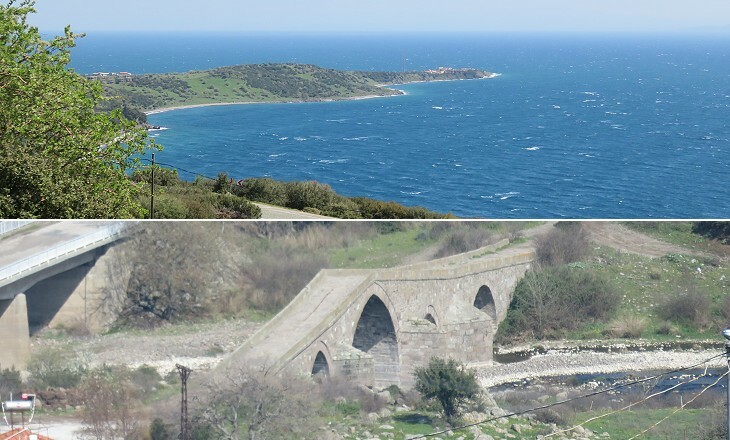 Sultan Mehmet regarded the change of power as having occurred without his consent and in 1462 he reached Assos with his army and he crossed over to Lesbos. Niccolò Gattilusio refused to surrender, but Ottoman cannon had no difficulties in opening breeches in the walls of Mytilini, the main town. After this event Assos fell into oblivion and Fellows noted in his book: The village now on the spot consists but of a few sheds. 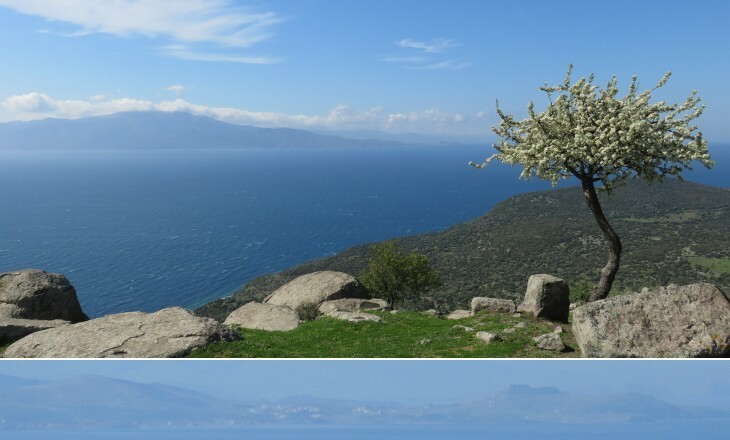 The ancient town of Assos should not be confused with Asso, a Venetian fortress on Kefalonia.